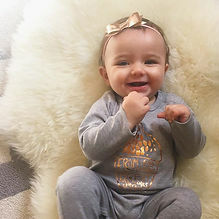 Motherhood and Fitness Blogger, Brittany Noonan, has put together her top 10 baby products needed in the first year of motherhood. As baby luno is a shop focusing on the first year of baby's life and your first year as a mother, we love her tips and it is a great guide for mums-to-be in their last weeks of pregnancy. So I thought I would put together a list of 10 products that I found most useful as a new mum! 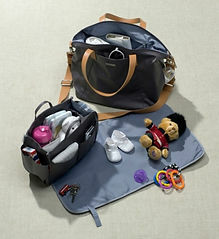 Make sure the nappy bag you buy is big enough to fit everything you may need in it and a bit more. Remember you won't be able to carry your handbag as well so make sure there's enough room for your items too such as wallet, phone and keys. I like to make sure my bag has compartments or an organizer that will allow you to have specific sections for different items. Also available in black or yellow. 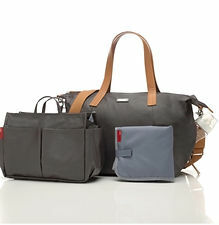 This would have to be one of my favourite items for baby - not only does it make going out easier but when you have a new born that wont settle or will only sleep on you being able to wear them around the house makes your life bearable as you still have free hands to do other things like house work, cooking, scrolling through insta and the most important of all drinking coffee! I waited until Millie was about 6 weeks old but wish I would have used one so much sooner as it would have saved my life. 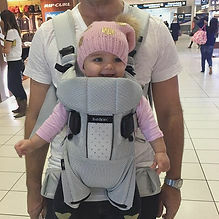 We have used BabyBjorn carriers from the start which I have found great and they are able to be used from newborn with no extra insert! 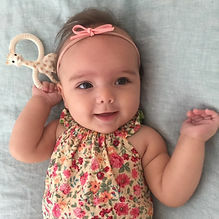 The other thing I love about BabyBjorn is that the new designs have been designed by pediatricians and have approval from "The Hip Dysplasia Foundation" so I know they are safe. See baby luno's collection of baby carriers here. 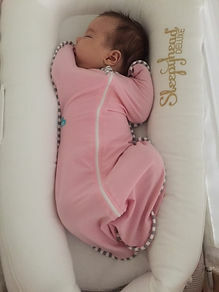 If your baby is anything like Millie was they will find a way to escape traditional muslin swaddles so I found sleeping bag style swaddles to be much more practical and easy to use. Plus you know once their arms are free they can stay in this type of swaddle safely with little transition required. See all sleeping bags and swaddles here. Okay, call me naive but before I had Millie my partner and friend both were trying to convince me that we NEEDED to buy a "Sophie The Giraffe" and I kept brushing it off not really thinking they would be that important. Eventually my friend did buy me one and thank god she did because Millie loves her! Soft teething toys are essential and actually work! I am also a massive fan of teething jewellery to keep bub entertained when you're feeding and out and about at cafes. Unfortunately I didn't discover these until after I stopped breastfeeding. But they would have been an absolute lifesaver for me as an active Mum. I still wear one now because they are super comfy and supportive! 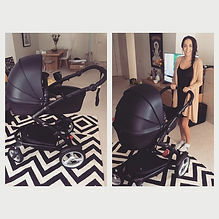 These are seriously amazing - if there is only ONE thing I can recommend as a new mum its getting one of these. Millie has been sleeping in one since about 4 weeks old. What I love about them is that its her safe place - if we go away (which we do a lot) we can always take it with us and she will be able to sleep easy as she recognises her surroundings. See all baby nests here. 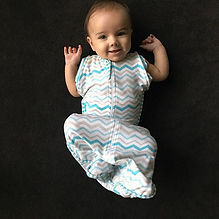 Something I tell all my friends who are about to have babies is not to waste lots of money on fancy newborn clothes and to stick to onesies and zipsuits for their first newborn sized clothes - the reality is that your baby will either be in a onesie or wrapped in a swaddle. I spent so much unnecessary money on clothing that was literally never worn. Get yourself one of these as you will use it multiple times every single day when you are bottle feeding. Millie is 10 months old and I still use it daily. Wash bottles and simply chuck them in the microwave for a few minutes and you're done. 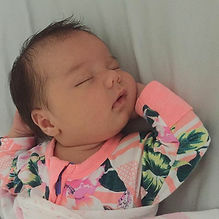 A lot of babies suffer from reflux so need elevation to settle - the easiest way I found was by popping Millie in her swing when she had suffering - the motion and the slight upright elevation helped to settle her. Just be wary that you don't let them sleep in there all the time though or bub to could become depend on the motion to fall asleep. Just a quick tip about picking a pram : the most important thing I have found which seems to be the same with every Mum is to check the storage basket on the pram. Are you able to fit your nappy bag? If not are you able to safely hand it on the handle? Is the storage compartment easily accessible even when the bassinet is attached? I know it might sound silly but so many people I have spoken to have bought their favourite looking pram only to have to sell it and buy something that is practical for every day use. You will find that you use that storage compartment for everything so take note when shopping! Thanks Brittany! See original post here.